Leveraging over the skills of our qualified team of professionals, we are involved in offering excellent quality range of Interlocking Paver Block. 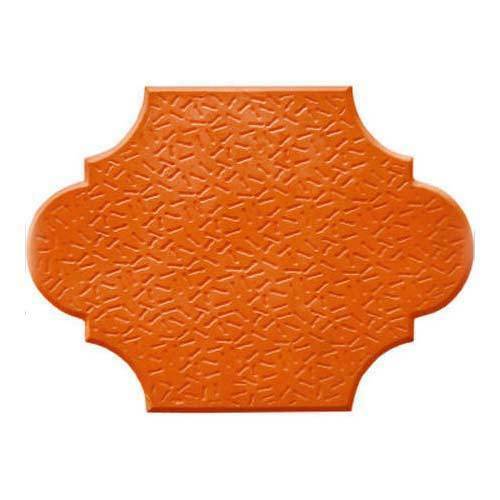 This Interlocking Paver Block is widely used for making pathways. Our product range is highly appreciated amongst customers for its accurate design and strong grip when fixed. Importantly the unit is a reputed manufacturer of interlocking pavers, a global concept in paving by using the most modern and fully automates German make knauer machine. Manufacturing units are at Bangalore, Belgaum, Delhi, Gulbarga & Kolkata. The interlocking pavers, which is more economical and quick alternative to concrete flooring is popular all over the world for paving porches, pathways, driveways, car parks, bus/ railway platforms, industrial flooring etc. Paver blocks ranging from 40mm to 100mm thickness in various designs and colors to match the landscapes. Incorporated in 1969 as a Private Limited Company, we, Malu Wires, are a very respected and presumed name in the business drew in as the manufacturing and supplying of a quality accumulation of extensive variety of products. Operational headquarters of our organization is located at Bengaluru, Karnataka (India). With the aim to plan and manufacture quality modern gear, we have cut a corner for ourselves in the national business sector. Utilizing on our propelled fabricating offices and capable workforce, we give one window answer for fluctuated sort of necessities of assorted industry. Our offered range of products comprises of Concrete Wall, Concrete Block, Railway Concrete Sleeper, Mild Steel Nail, Transmission Line Pole, Welded Mesh and many more. Manufactured by making use of best quality raw materials and metals procured from renowned vendors of the market, offered range meets higher standards of quality and thus are widely demanded amongst our reputed clients. Well-established network of distribution enables us to delivery flawless goods till clients’ premises ensure complete satisfaction and their retention for future.